Check out Tobi's Knit While You're Ahead Sweater Dress Get the cocoa ready: your perfect winter sweater dress is here. 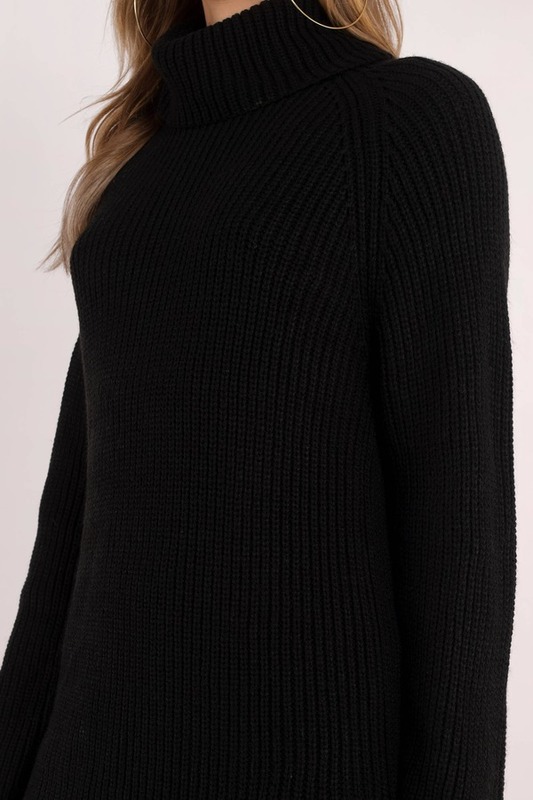 The Black Knit While You're Ahead Sweater Dress is a turtleneck dress in a chunky knit with raglan sleeves and small side slits for a relaxed look. Are you seeing log fires? Us too. Get the cocoa ready: your perfect winter sweater dress is here. 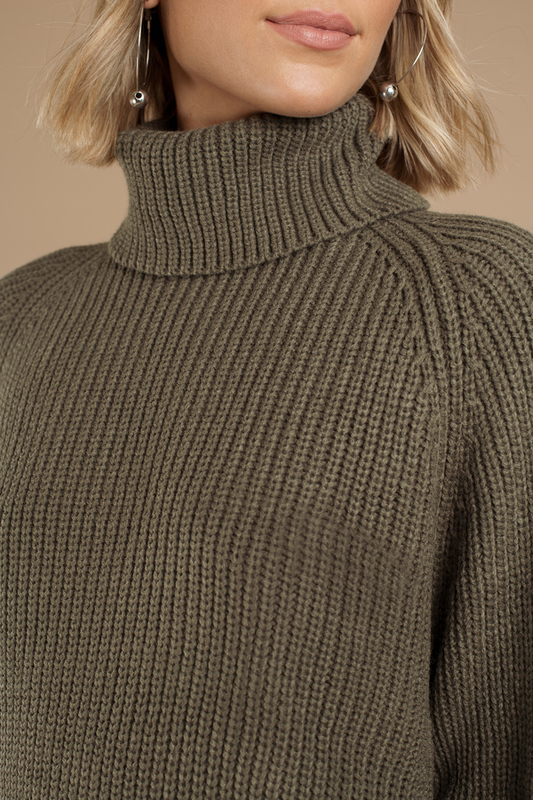 The Olive Knit While You're Ahead Sweater Dress is a turtleneck dress in a chunky knit with raglan sleeves and small side slits for a relaxed look. Are you seeing log fires? Us too. Get the cocoa ready: your perfect winter sweater dress is here. 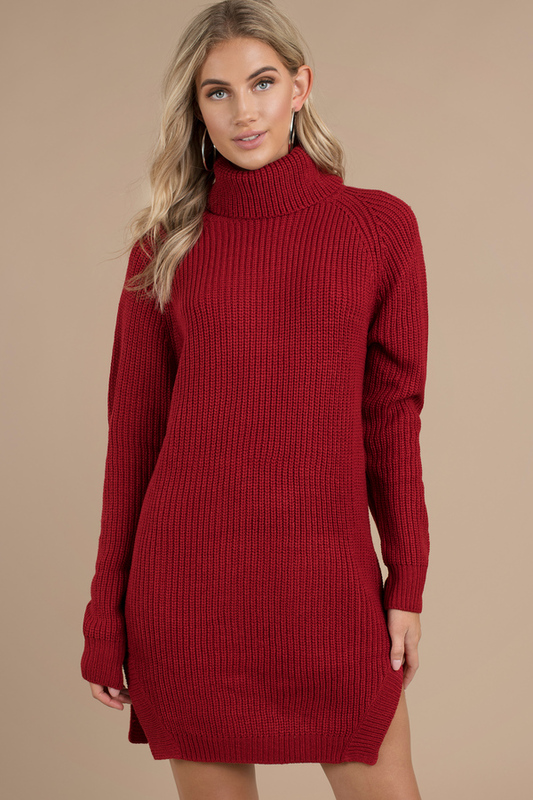 The Black Knit While You're Ahead Sweater Dress is a turtleneck dress in a chunky knit with raglan sleeves and small side slits for a relaxed look. Are you seeing log fires? Us too. 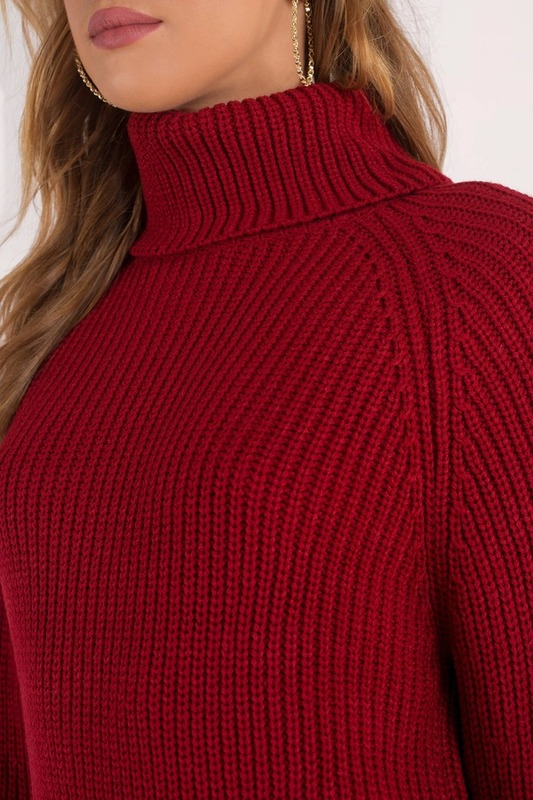 Get the cocoa ready: your perfect winter sweater dress is here. 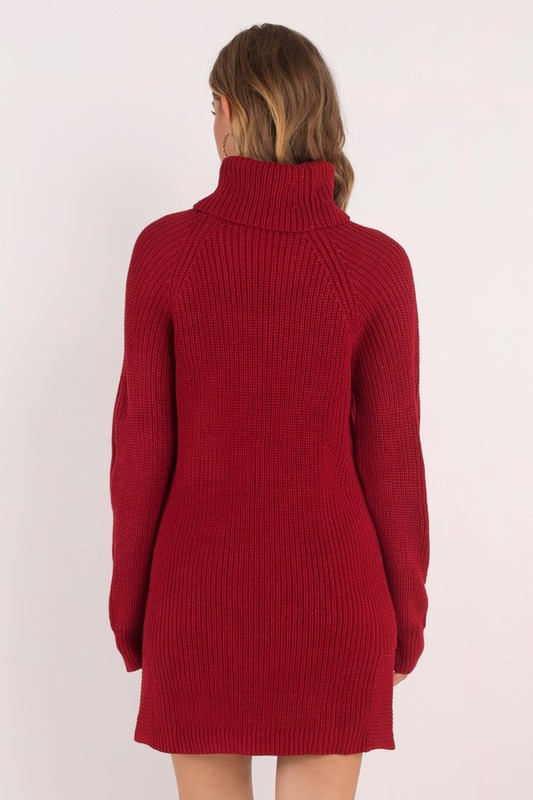 The Red Knit While You're Ahead Sweater Dress is a turtleneck dress in a chunky knit with raglan sleeves and small side slits for a relaxed look. Are you seeing log fires? Us too.